Practice is what you do at home on your own time, by yourself. Practicing is not only studying things like theory, scales, fingerings, technique, etc., but also learning the repertoire for a gig. Practicing songs involves a lot of starting and stopping and a ton of repetition; it’s a very individual, solitary task and when done correctly it’s typically not very entertaining to hear someone practice. Rehearsal on the other hand is not individual, it’s a group exercise. Having said that, it’s important to emphasize that rehearsals are not social gatherings, they’re work first, play later. 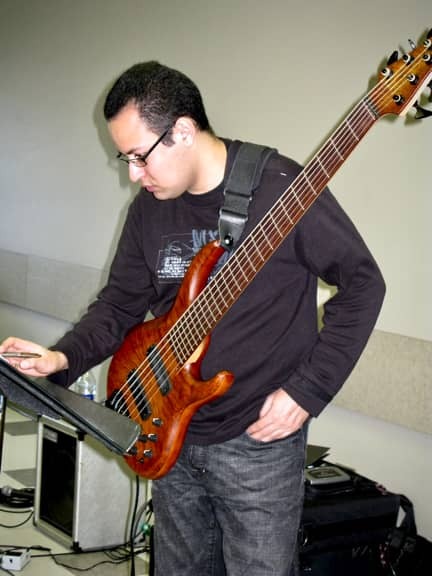 Noodling around on your instrument or having side conversations between songs has no place in a rehearsal. A rehearsal is for focusing on things that will benefit the group as a whole. You don’t go to a rehearsal to sight-read charts or to use other people’s time to learn your parts. You go to a rehearsal with your parts learned, charts annotated, roadmaps highlighted, ready to play as if it was the day of the show. At a rehearsal, the band runs through all the songs one after another, ideally never having to stop mid-way through a song because everyone has already caught anything strange or especially difficult while working on the material at home. There is nothing more frustrating and infuriating than having to stop every ten seconds to allow someone to learn their parts — it’s not only immensely unprofessional, it’s outright disrespectful. Apart from individual practice and group rehearsals, large bands may also choose (or need) to have occasional sectionals in addition to full-band rehearsals. Going prepared to a sectional is just as important: like rehearsals, sectionals are not for learning individual parts, they’re for hearing parts together and working on details that benefit the whole section. Running a horn sectional during a full-band rehearsal is disrespectful to rhythm section players’ time, and likewise, working out rhythm-section-specific aspects of a show during a full-band rehearsal is a very poor use of horn players’ time. Besides working through the set list and putting all the parts together, full-band rehearsals are also for working on transitions, minimizing downtime, polishing intros and endings as a group and most importantly, collaborating on all the creative details and improvements that the band wants to make. When someone shows up to a rehearsal unprepared, not only do they waste everyone’s time while the rest of the band waits for them to learn what they should have practiced at home, but they completely sabotage the creative potential of the rehearsal! Creativity is an essential part of any band, even cover bands, but it’s also critical to understand the difference between collaboration and democracy. The most productive rehearsals happen when someone is clearly in charge and the rest of the band can rely on that person to make intelligent decisions. A strong leader is therefore vital to having a productive rehearsal. A good musical director (or bandleader) keeps everyone positive and engaged while running things as efficiently as possible and without coming across as a rigid, militant jerk. It can be challenging to set an orderly pace when band members show up to a rehearsal as if it was a social gathering and forget that they’re there to work, just as it can be uncomfortable to have to call people out when they’re making mistakes or habitually showing up under-prepared. Consequently, the diplomacy, experience and preparation of the leader can make or break a rehearsal, and a rehearsal can make or break a show. As I mentioned, when a rehearsal doesn’t go well or when musicians leave feeling less than stellar about it, it’s often because someone went to the rehearsal intending to practice. That can be an indication that everyone wasn’t on the same page concerning expectations, but sometimes people just need a gentle reminder, even if it feels like you’re only stating the obvious. Either way, be constructive, not critical. In summary, practice is what you do on your own time including learning the repertoire for a gig and it involves a lot of repetition. Once you’ve learned the material well enough to play it with confidence as if it was the day of the show, then and only then are you ready for a sectional. At the sectional, you work as a small group to make the section as tight and great as it can be. When all the various sectionals are complete, you then proceed with a full-band rehearsal to run through all the songs and focus on things that benefit the group as a whole, including all of the creative aspects of the music. Sectionals are the only optional piece of the puzzle and are commonly omitted in smaller bands or when time only allows for a single full-band rehearsal. You can still have productive rehearsals without sectionals, but you will never have productive rehearsals without individual practice. Evidently, practicing and rehearsing are not even close to the same thing. Practice vs. Rehearsal was published by Daniel Menjívar on August 9, 2016 at 12:00:13 PM EDT and last updated on April 18, 2019 at 4:41:19 PM UTC .